Shrewsbury AC and the National Trust http://www.nationaltrust.org.uk/attingham-park/ would like to thank Rybrook BMW Shrewsbury http://www.rybrook.co.uk/bmw and UP&RUNNING Shrewsbury http://www.upandrunning.co.uk/shrewsbury for their support of this event. In advance. Affiliated runners - £10, unaffiliated - £12. 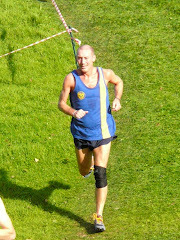 On-line at http://www.runbritain.com/races or by post. Closing date for receipt – Wednesday 3rd November 2017. Entry on the day (Affiliated and Unaffiliated runners - £14) will be available if the race limit of 550 has not been reached. Contact Kevin Francis 07809 207 007 before travelling if in doubt. What is an Affiliated runner? This is someone who has paid the current year's Affiliation fee to England/Welsh/Scottish or Northern Ireland Athletics. This is not the same as being an attached runner. If you are are Club member but have not paid the Affiliation fee you have to pay the higher fee. Don't know if you are Affiliated - check with your Club's membership secretary. 16 years on the day of the race. Please do not enter this race unless your are reasonable fit and have completed some suitable running activity / training in the proceeding weeks. The weather in November can be cold, wet and windy. The course itself is very well marked out with approximately 15 marshals or more at strategic points. All entrants will be required to sign the following declaration when entering the race. Please do not enter this race unless you are medically fit to compete. It is your responsibility to ensure that you are fit to compete. How to get there by road. 4 miles South East of Shrewsbury on the B4380 (old A5 road between Shrewsbury and Telford). Sign posted from all local roads leading to National Trust, Attingham Park, SY4 4TP. Follow National Trust signs, and race signs on the day when entering the Park itself. There will be marshals and additional car park signs on the race day indicating where you can park, parking is free of charge. Event HQ / registration area. Within the courtyard area of the park itself, there will be visible signs on the race day. Registration is within the Courtyard area behind the main entrance to house and park grounds. The start of race is approximately 5 minutes walk from registration. Race numbers will be posted a couple of weeks before the race date. The closing date for pre-entries takes account of this. However, they can be collected from Registration on the day, if this has been pre-arranged with the organiser (this will normally only apply to entries close to the event date). NB. If you have pre-entered you do not have to go to Registration on the day. Limited safety pins are available, so please bring your own. You will need 4 pins to make sure your number is securely attached. Are available within the grounds of Attingham Park, and are clearly sign posted. Approximately 350 metres from Registration area. The start and finish areas are clearly sign posted once within the Park grounds. They are in two different areas of the Park, and are separated by approximately 500 metres, or a 5 minute walk. A multi-terrain course measuring approximately 5 miles. The course is relatively flat with a minimal amount of tarmac / hard surface, with some woodland trails. The majority of the course is off road, covering a mixture of pasture land where cattle, sheep and deer can be seen. The course also takes in a large amount of wooded area with certain obstacles, such as fallen trees which can create trip hazards. The course also covers several wet / marsh areas dependent upon weather conditions, leading up to the race and on the day. Just before the finish of the race the course takes in the “pond” which means runners should run or wade through still water that is approximately 0.5 metres in depth. 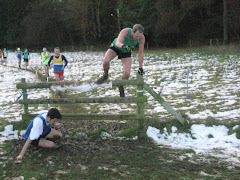 This can be very muddy and obviously cold, be prepared for this popular feature at the end of the race. There will be water at the finish only. It is expected that you will complete the course and pass through the finish funnel. If you find for any reason that you cannot complete the race you must report to the finish marshals, or a marshal nearest your retirement position. This is an important safety feature – we need to know that all runners are accounted for at the end of the race. It is the responsibility of each runner to comply with this requirement. We don't want to be searching for a runner in the woods or adjacent areas who has retired from the race and gone home without letting us know. Results will be available on the day as soon as possible after the race, a prize giving ceremony will take place in the Courtyard area where registration is. 1 years membership to Shrewsbury AC. There will also be a Spot Prize of a BMW car for the weekend (subject to Terms and Conditions) courtesy of Rybrook BMW. This will be drawn at random from the runners who compete on the day. Team event. Separate prize for male and female teams. First four Affiliated Club runners to count. Cancellation, Refund and Transfer of Entry policy. The race organisers will do everything within their control to ensure the race goes ahead. 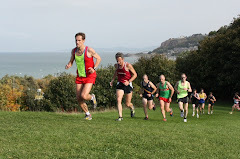 National Trust have certain rules which apply to weather conditions that could make the Park unsafe to both runners and spectators, and therefore the Park can either be closed altogether, or the race re-routed at short notice. In the event that the event has to be cancelled this information will be posted on the race websites (see above). 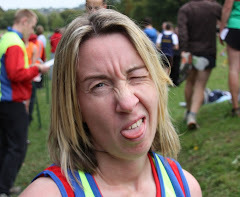 In the unlikely event that the race has to be cancelled runners will be offered the option to have their entry transferred to either a rearranged race date (if the organisers can rearrange in the same year) or the following year's race, or to have a refund. The refund would be subject to a deduction for costs incurred by the organisers prior to the cancellation. - no refund will be given where notice is received within the 2 weeks prior to the race. Transfer of entry. The competitor can choose from one of the following options. Option 1. The competitor can request that their entry be transferred to the following year's Mad Jacks race or to the Club's Eastridge Trail Half race. This latter option may require an extra payment to cover the higher race entry fee. 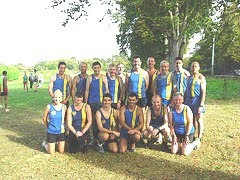 For more details about the Eastridge race visit the Club website at www.shrewsburyac.org.uk The request must be made before the race starts. Option 2. The competitor can request the transfer of their entry to another runner. Where the transfer is from an Affiliated to an Unaffiliated runner extra payment will be required to cover the difference in entry fees. 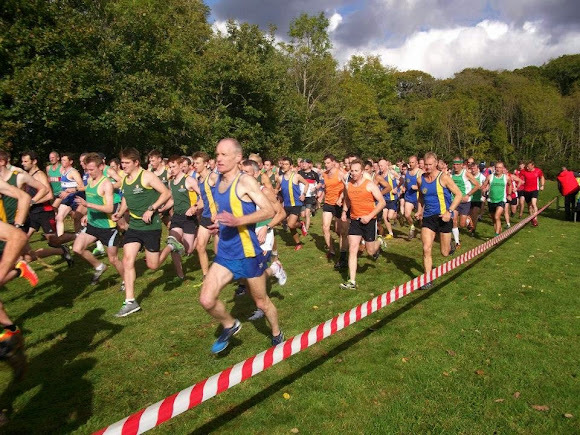 The request must be made and all information required must be sent to Andy Lewis by 9.00 am on Thursday 9th November so that the entry/results database can be finalised. The novelty in casino games. Ruby888 Is a site for new venture capital. With online gambling, the criteria are high and Hello. You will receive a confirmation that you will be satisfied. It has been around for more than 10 years and is widely known in the internet gambling community. We are the leader in online gambling services. As a matter of pride in playing the game, all bets are win-win. The opening of the gambling casino network computer freedom. Under the mandatory provisions of Cambodia. Because our site is in the state of Poipet. We are very well prepared to take you to victory in the money in the period 2017 with a technology that is modern. We also have a live broadcast via satellite to your screen in front of you. The more you feel about playing casino games, the more realistic.